If you live in Indiana Borough or White Township, PA or the surrounding area, let Sandy's Custom Cuisine do the cooking for you! Meals To Go are designed to help with busy lives by delivering a home cooked meal at the end of the work week. Each Friday, I create homemade meals from scratch. Meals (except pasta dishes) include an entree, starch, one side, and bread/roll. Place a reservation at least 3 days in advance so that I can better serve your request. Last minute orders may be honored depending on the availability of ingredients. Watch on Facebook for “2FER” weeks – occasional meals offered on Wednesday as well. All meals are $10 plus tax and a small delivery charge of $1.50 to one location in Indiana Borough and White Township, $2.50 to surrounding areas. Add $1.50 more for dietary alternatives. Sides and bread substitutions may be made upon request, if available. To order, call or text me at (724) 422-4236. To see the current meal of the week, visit Sandy's Custom Cuisine Facebook page. You don’t have to subscribe to Facebook to view my page, but for those with an account, "Likes", shares and reviews are welcome! I will serve an order of 6-10 of the same meal on any day of the week with a three day notice. 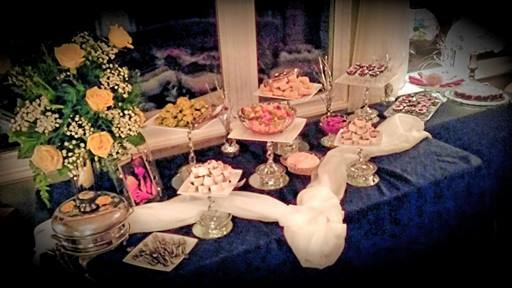 Do you have a special event that needs catering? To see the current Meals To Go, weekly and seasonal specials, check out Sandy's Custom Cuisine Facebook Page.